Victoria Spice is the Science & Restoration Project Manager with the Center for the Inland Bays. 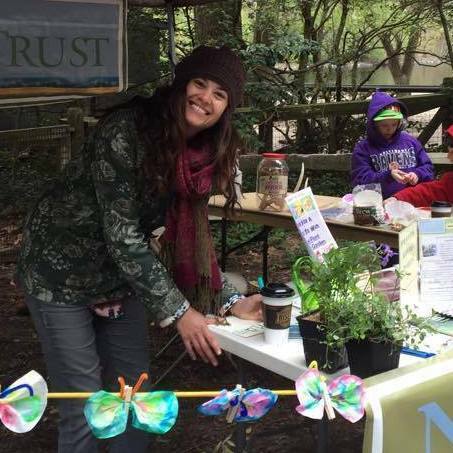 In this position, she assists with implementing numerous ecological restoration initiatives such as reforestation, living shoreline, and green infrastructure projects. Prior to this position, Victoria worked at Assateague Island National Seashore as an interpretive park ranger and the Lower Shore Land Trust implementing their stewardship and monitoring programs. She also worked directly with DNREC to get the Richardson & Robbins building LEED certified. Growing up in Berlin, MD Victoria was raised to appreciate the shore life and everything it has to offer. In her spare time she enjoys traveling with her husband in their van that they have converted to a camper, birding and sprucing up her garden with native plants.